Freska Limestone Stacked Ledger Stone Veneer Panels are crafted from a beautiful cream colored limestone. 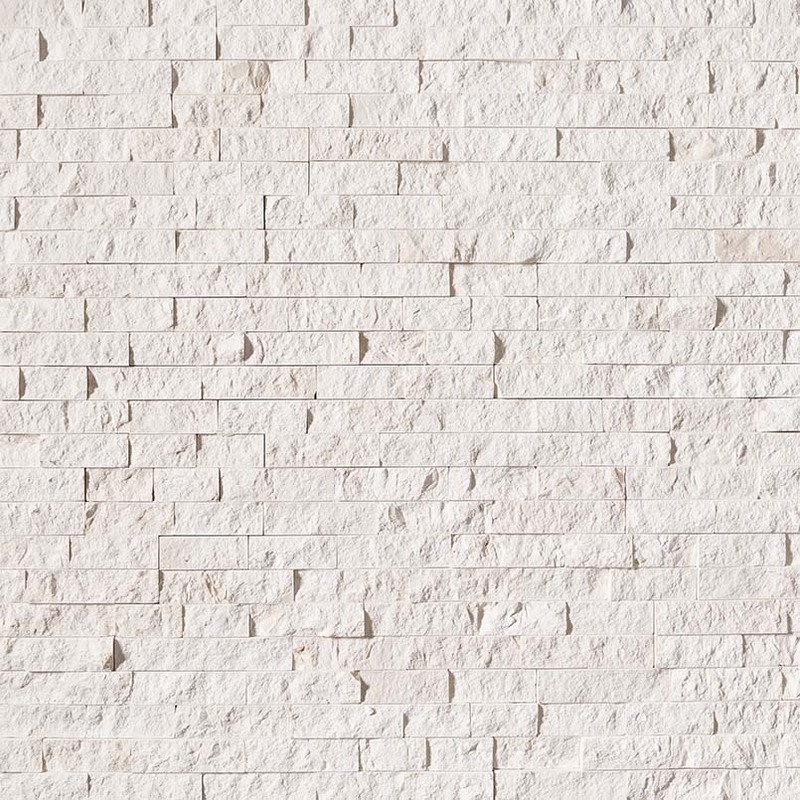 Primarily white in color, this natural split face panel is used to create beautiful design features including accent walls, fireplace walls, and for exterior projects including cladding of structures and architectural elements including support beams and retaining walls. Matching corners are available to finish off projects. Freska Limestone Stacked Stone Wall Tile Panel 6 in. x 24 in. is crafted from fine limestone and boasts a dramatic split face finish. Its warm creamy white color gives any residential or commercial space a fresh, clean look. Indoors or outdoors, use this stacked stone panel to create an eye-catching accent wall, backsplash, fireplace surround, or to clad retaining walls or other architectural elements. Durable, versatile, and elegant—Freska Stacked Stone is also a DIY-friendly thanks to Interlocking Z Feature which ensures the panels fit together seamlessly, just like puzzle pieces. Weight Per Piece: 10 Lbs.